The correct estimation of the real estate value facilitates decision making in various sectors, such as public administration or the real estate market. 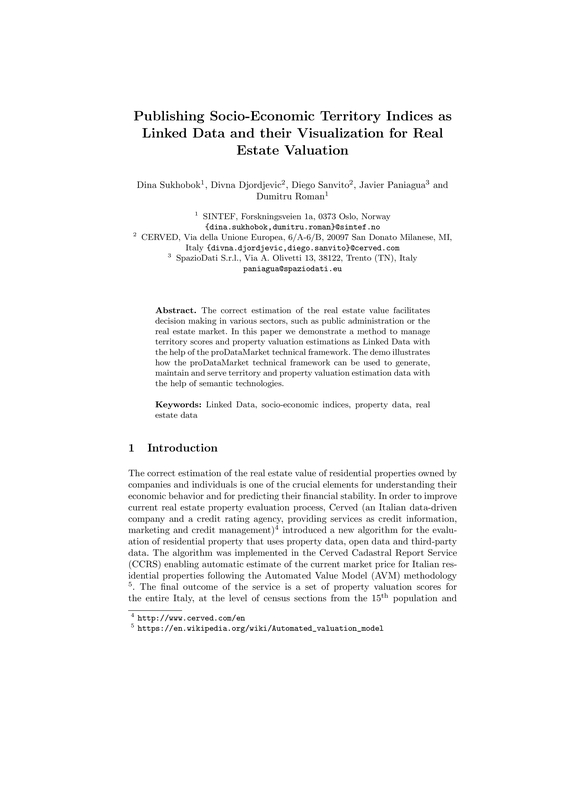 In this paper we demonstrate a method to manage territory scores and property valuation estimations as Linked Data with the help of the proDataMarket technical framework. The demo illustrates how the proDataMarket technical framework can be used to generate, maintain and serve territory and property valuation estimation data with the help of semantic technologies.